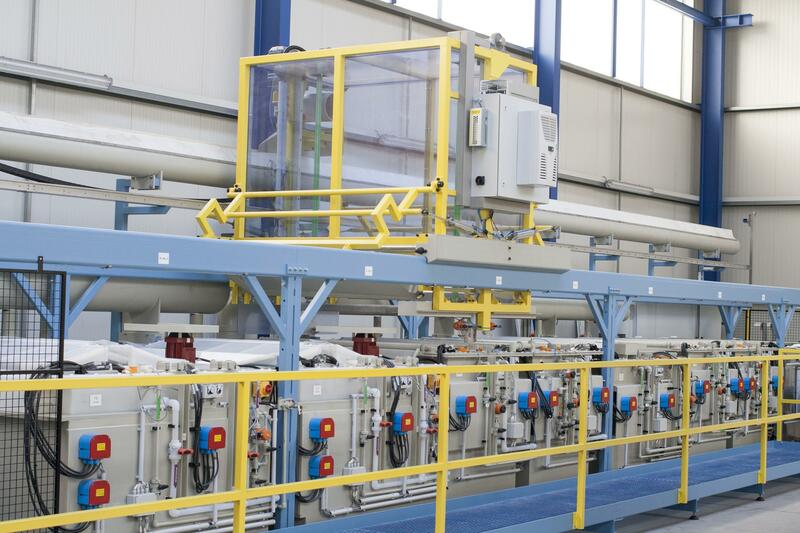 Galvatek´s automated chemical stripping line. Coating removal line for land based turbine maintenance. Gas turbines are used in electricity production in energy industry.